Employee engagement is the buzzword of the moment. The right employee benefits, communicated well, are a great way to show your staff you value them, to attract the best employees and demonstrate your commitment to success. We’ll take time to get to know you so we can apply our experience and knowledge to suggest the right combination for your company. Our expertise covers everything from group risk and medical protection options, to flexible and voluntary benefits. Bring your values to life. With Private Medical Insurance your staff can quickly get the treatment they need, so work isn't disrupted. We provide you with a choice of options from the country’s largest, most respected insurers and can even include benefits like discounts on health and fitness clubs across the UK. A Healthcare Trust is a pot of money that can be used to cover specific medical expenses your employees might have. You regularly contribute into the fund and can decide on the type and range of healthcare benefits provided. With Healthcare Trusts there is a reduced level of Insurance Premium Tax. A Cash Plan helps your employees pay for healthcare expenses like dental care, physiotherapy and consultations, it’s easy to claim, has a wide range of benefits and can complement a Medical Insurance scheme. Dental Insurance protects your team against expensive dental care charges so your workforce can get the treatment they need, when they need it. You can choose from a range of NHS or private options that become active the day your policy starts. Dental Insurance ensures your team doesn’t get hit with the burden or worry of a huge dental care bill. Health Screenings help to spot health risks and even identify major illness, which can then be diagnosed and treated. Many illnesses can be treated quickly and effectively, if only they are caught early. With Health Screenings you give your people peace of mind and put them in the best position to make the right decisions about their health. Income Protection gives your employees a regular income to support them and their families if they fall ill or are injured and can't work. We offer a range of options from the country’s largest, most respected insurers. You can even select a policy to include rehabilitation services to support your staff as they get back to work. If one of your team is diagnosed with a critical illness for the first time, then Critical Illness Insurance will ease the pressure, by giving them access to a tax-free lump sum of money. It covers your staff for a whole range of illnesses and you have the freedom to choose the level of cover that’s right for your business. Life Assurance gives your people the extra peace of mind that, in the event of their death while employed with you, their family will receive a lump sum cash payment. It can’t compensate for their loss, but financial support will greatly help a bereaved family. You even have the option to include bereavement services to help loved ones through their grief. Help your people save for the future with the right pension plan. Under the Government’s new regulations every employer, regardless of their size, must help their workforce save for retirement. We work with all the leading providers and can help you choose and implement the right plan for your people and your business. Childcare Vouchers help ease the burden of childcare costs for your staff by paying a set amount directly to their childcare provider each month. The scheme is usually run through salary exchange helping you and your staff make savings as neither party pays National Insurance on salary exchanged for the vouchers. A cycle to work scheme helps your team stay fit and healthy and helps you promote a greener lifestyle. We can help you secure some great deals on a range of bikes with the leading retailers. Your staff can then take out an interest-free loan to purchase a brand new bike and spread the repayments over 12 months. Through the salary exchange programme, you and your team can make National Insurance savings too. Travel Insurance gives your staff complete peace of mind whether they’re away on business or on a family holiday. Our range of policies offer coverage on both European and Worldwide destinations and cover everything from travel delays to lost luggage and accidents. You can select the right option for you and can even upgrade the policy to include your employees’ families as well. Voluntary Benefits give your staff the opportunity to select the benefits that really matter to them. They may include car breakdown cover, gym membership or family theme park tickets. It’s a great, feel-good way to give back to your team and get everyone talking about your great benefits package. Many can be offered through salary exchange, helping your people and you to make National Insurance savings as well. A shopping portal gives your staff access to an exclusive website where they can take advantage of great offers and discounts. The promotions change from time to time, but include all sorts of things like preferential rates, discount vouchers and even savings on everyday items like food and household supplies. It doesn’t cost your staff anything to access the site and all purchases are made directly with the retailers, so there is no involvement from you as the employer. It’s important to celebrate when things are going well. Recognising achievement, marking major milestones and celebrating company success all help to motivate and encourage your team to work toward the same goals. Of course, you need a programme that fits in with the ethos and culture of your workplace, and we can help you build one that really encourages and inspires your teams. We know the right benefits package will help you grow your business, so we’ll work hard to put together the best one for you. 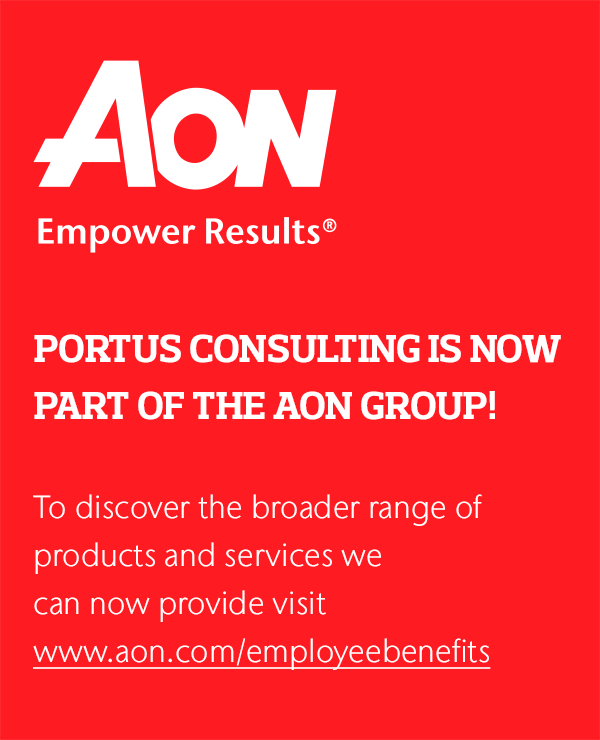 You’ll have the same Portus team working with you throughout to get you the best package, the best price and make sure all compliance is taken care of. We believe that great communication is the key to everything. We'll keep in touch regularly, and help you develop communications to engage your team with the great benefits plan you’ve created. But none of this is worth a thing unless you see results, so reporting and analysis are naturally built into everything, too.